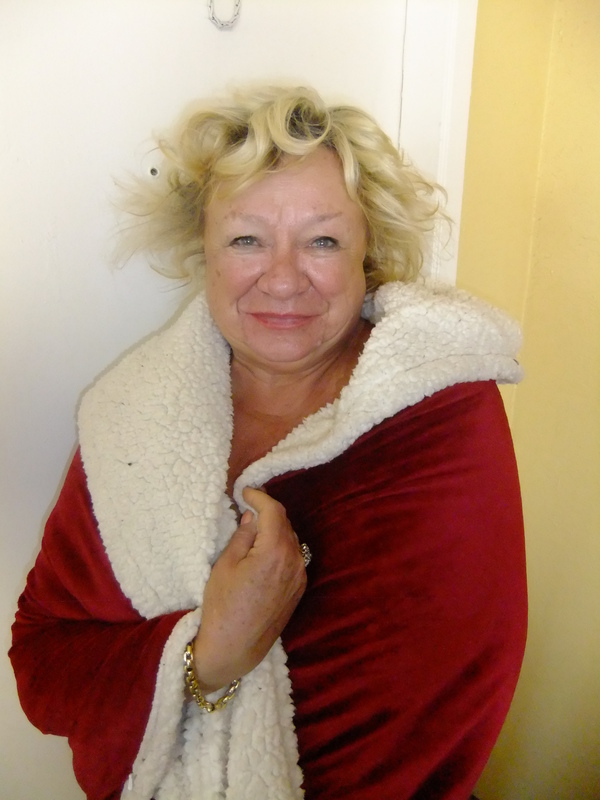 I woke up the morning only to discover I have been sleeping with Mrs. Claus. I should have know this all along since she went missing Christmas Eve. Don't believe me? Check out the pictures. Later in the morning I suggested that we try another place for breakfast with the interesting name of Delacaseas. A perfect play on words if there ever was one. Before you entered you knew it would a charming place from its exterior facade to the door handle that was a whisk. Inside it was an eclectic collection of items that in the end worked well. My guess it was run by a couple of gays and it was. It was as if they had attended the better garage sales in the area brought their picks to the store and melded it into a charming ambiance that suggested your mother's or aunt's kitchen. The lights were calendars hung from the ceiling upside down with a light bulb in the centre. The salt and pepper shakers with two little chefs with moustaches. There were many cute signs one showing a mermaid with the caption "Feelin beachy", another said "We only serve the finest vintage wine...did you bring any? ", and yet another admonished you "Please don't forget to feed your parking meter". There was a magnificent clock radio in caribbean blue casing with two large circular faces to it the size of a toaster from the 50's and another clock with the signage Clipper Bill's seafood grotto. A large cabinet contained any number of bric a brac and being the time of the year it is the entire place was decorated for Christmas. And the food?, simple. I had French toast made from hallah bread and Elizabeth a simple chicken salad sandwich. Spanish, American, Confederate, English and French.